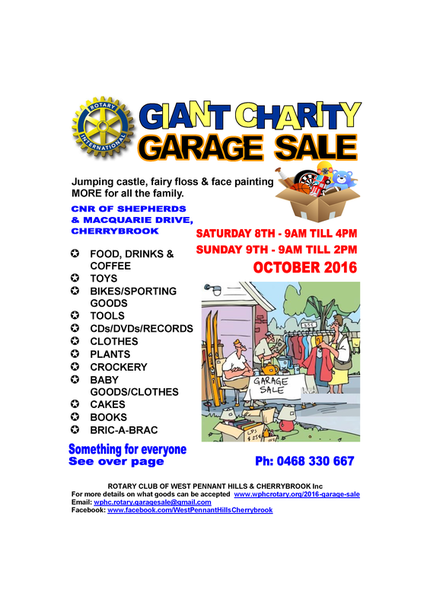 The West Pennant Hills & Cherrybrook Rotary Club Giant Charity Garage Sale is being held on Saturday 8th and Sunday 9th October 2016 at the corner of Shepherds Drive & Macquarie drive, Cherrybrook. 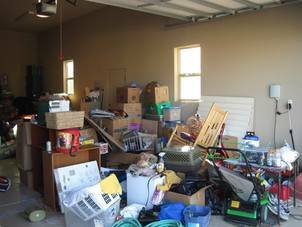 Time to clear your garages and homes in time for summer! 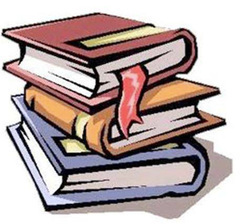 Due to the generosity of the local community we have now reached our target number of books for our garage sale and are unable to accept any more books. We will be holding our Giant Book Sale in March next year and will be looking for more donations of books starting in February 2017. 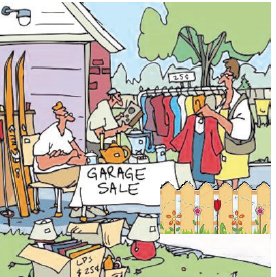 We will let everyone know the details via the book sale web page (on this web site) and also Facebook. 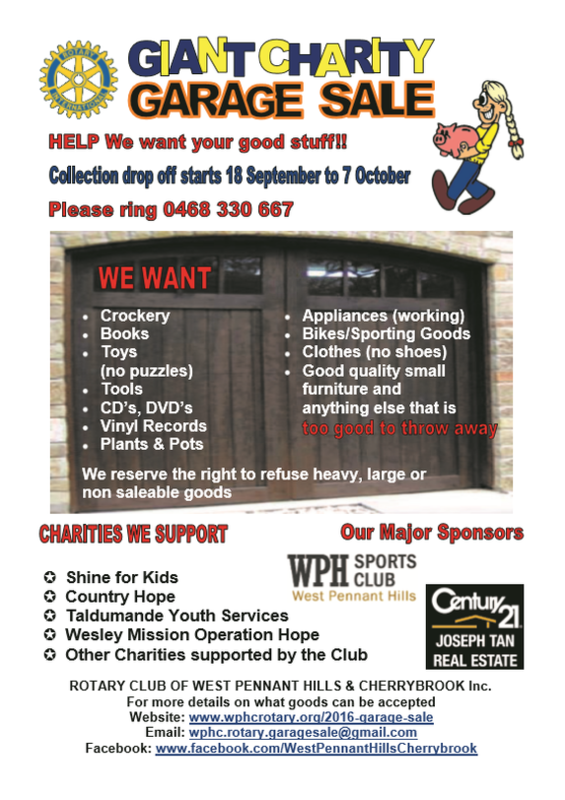 Drop off & pick up starts on Sunday 18 September and continues until Thursday 6 October. We would appreciate if items could be dropped off, however if this is not possible, or if you have larger items such as furniture, then we would be happy to pick them up. Please call 0468 330 667 to arrange for pick ups or additional information. As well as this, we will have more for the family - jumping castle, fairy floss and face painting. ​Each of you has won a Luxury Hamper valued at $100.